We have all heard of Eurasia, and the vast new projects that are to integrate whole blocks of countries together. But perhaps it is not that simple. There are different views of what Eurasia is, unification may not be that easy, and only come about because such integration becomes necessary. 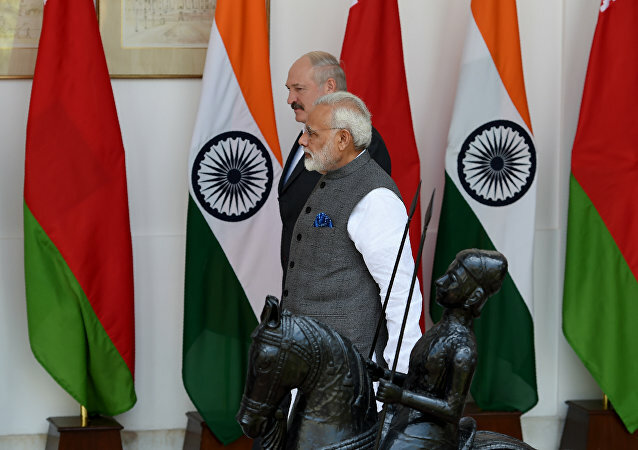 With India eyeing a Free Trade Agreement (FTA) with the Eurasian Economic Union, the investment treaty with Belarus is expected to act as a strategic initiative in this direction. The Eurasian Economic Union (EAEU) is not Russia's political project, Russian First Deputy Prime Minister Igor Shuvalov said Tuesday, adding that the bloc is first of all focused on economic integration. A temporary agreement on establishing a free trade zone between the Eurasian Economic Union (EAEU) and Iran may be signed in 2017, Chairman of the Eurasian Economic Commission (EEC) Board Tigran Sargsyan said Monday. Iran's First Vice President Eshaq Jahangiri on Saturday noted the good results of the talks on the creation of the free trade area between the country and the Eurasian Economic Union (EAEU). Chinese President Xi Jinping arrived in Russia on Monday for a visit. The Russian and Chinese leaders are expected to discuss bilateral cooperation and coordinate positions on a range of international issues ahead of the G20 Summit in Hamburg. 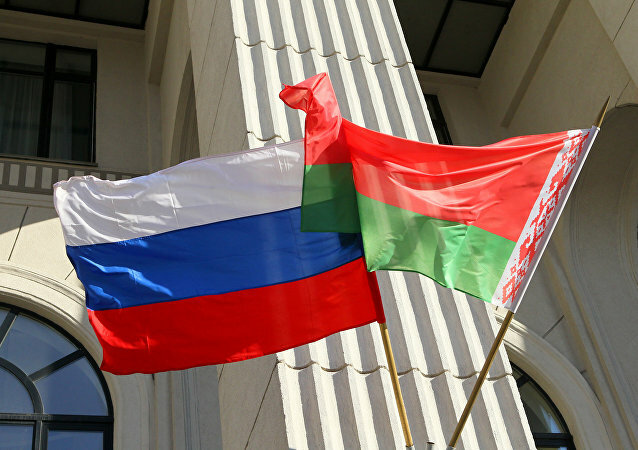 The project of the Union State of Russia and Belarus is the most advanced integration project in the post-Soviet area, Belarusian Ambassador to Russia Igor Petrishenko told Sputnik. About 50 countries have expressed interest in partnership with the Eurasian Economic Union, the Russian foreign minister said. Belarus proposes to promptly establish a common market for gas, oil and petroleum products, Prime Minister Andrei Kobyakov said Friday. New Silk Road Indicates China's Ambition for Global Leadership, but Can Beijing Really Take the Role? On Monday, an international forum devoted to the One Belt One Road infrastructure project ended in the Chinese capital of Beijing. During the summit, China indicated its ambition for a global leadership role. Russian President Vladimir Putin made a speech at the opening ceremony of a New Silk Road forum in Beijing. 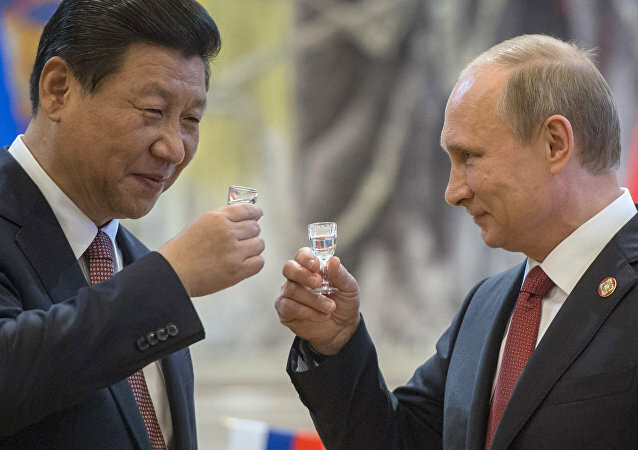 Moscow has been expected to be an active participant to the Chinese megaproject. 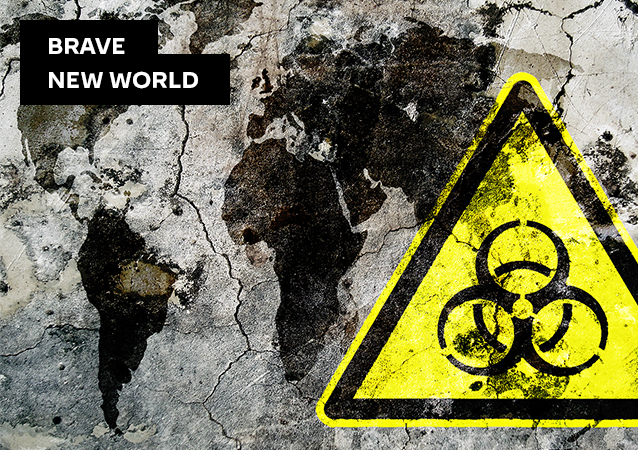 However, experts warn about a number of potential obstacles on this way. Stratfor, the Austin, Texas-based think tank which predicted the imminent collapse of Russia two years ago, has released a new assessment, marking its concern over Moscow's growing clout across the republics of the former Soviet Union thanks to institutions like the Eurasian Economic Union and the Collective Security Treaty Organization. During their meeting in Moscow on Monday, President Vladimir Putin and Serbian Prime Minister Aleksandar Vucic discussed a raft of economic, military and technical cooperation issues. Vucic also secured Russia’s support for his bid to win the upcoming presidential elections slated for April 2, online newspaper Vzglyad wrote. 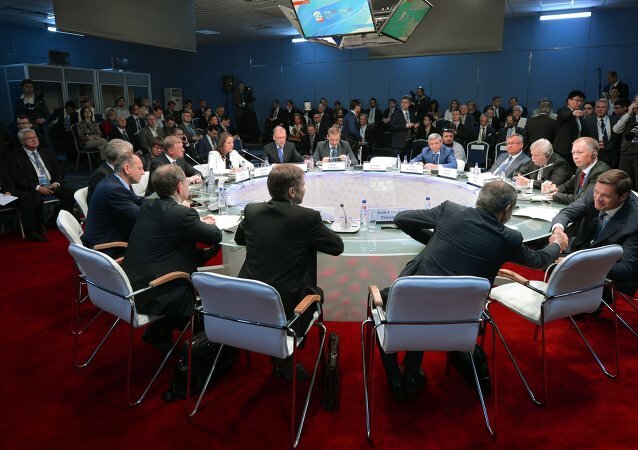 Members of the Eurasian Economic Union's (EAEU) prime ministerial council signed a directive on Tuesday ordering preparations for a temporary agreement on forming an EAEU-Iran free trade zone. This week, Russian President Vladimir Putin paid a visit to Central Asia, meeting with officials in Kazakhstan, Tajikistan and Kyrgyzstan. The Kremlin has also announced plans for the president to visit Turkmenistan in the near future. Geopolitical analyst Rostislav Ischenko explains what's really behind Putin's diplomatic blitz tour of the region. Clashes of interest between the EAEU members is natural to the ongoing process of integration, Chairman of the EEC Board said Friday. On Tuesday, Russian Deputy Prime Minister Igor Shuvalov visited Iran to discuss a trade agreement between Moscow and Tehran. Yerevan supports the idea of creating a free trade zone between the Eurasian Economic Union and Iran, the Armenian foreign minister said. More and more citizens of Moldova are disappointed with the European integration as the economic situation in the country has significantly deteriorated over the two years of the implementation of the Association Agreement with the European Union, President of Moldova Igor Dodon told Sputnik on Wednesday. 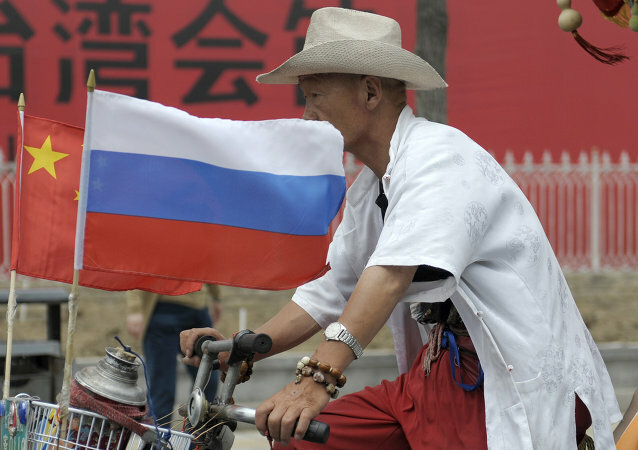 Russia has maintained its presence on Chinese markets despite recent economic decline, Russian Ambassador to China Andrey Denisov said.